Cooper is a cheeky boy and with that little face he can get away with anything! He loves interacting with people. He is constantly curious about what the volunteers are doing and will stand up on his hind legs to reach up to say hello to them and receive pats in return. Cooper would be best in an adult household. 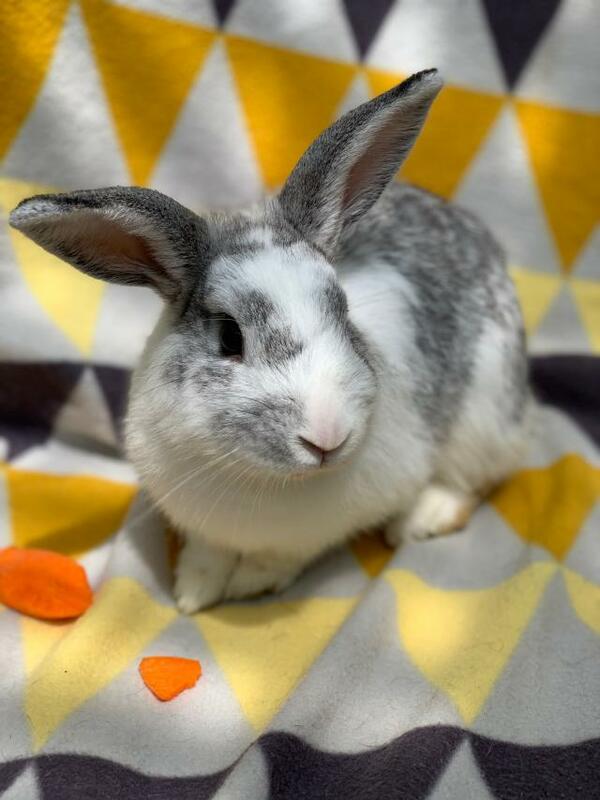 He is social with other rabbits and currently has a bunny he co-exits with. He is happy as a single bunny but is happy with a friend if properly introduced. 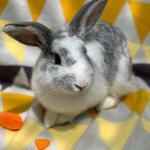 Cooper is a Lagomorph rabbit with short coat with navy-grey eyes and weighs around 1.8kg. He comes vaccinated and desexed. 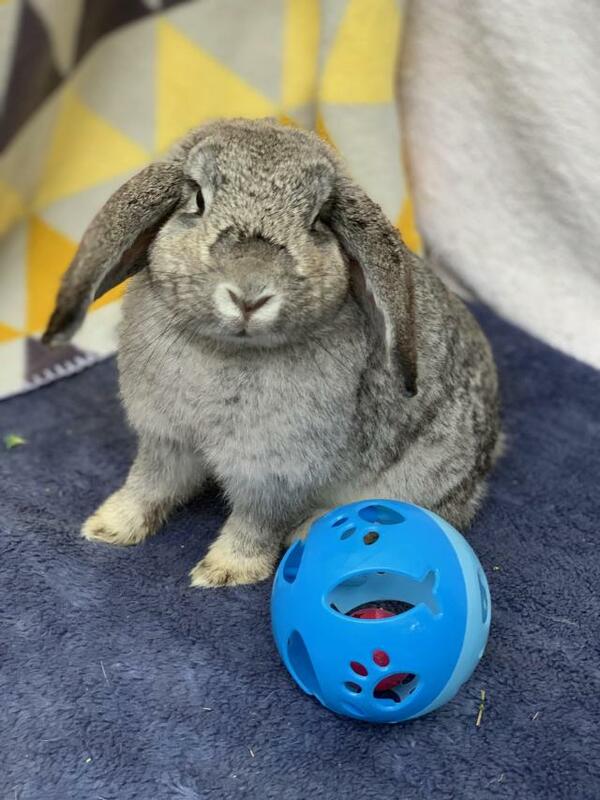 If you are interested in any of rabbits please fill in the rabbit application form on this page. Adoption fee is $40. Lovebug and Cuddles Netherland Dwarf rabbits who came in together and are bonded.They arrived on Valentine's Day. 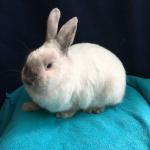 They are gentle affectionate rabbits that are easy for adults to handle and cuddle. Cuddles is 1.2kg and his chip is: 953010003410930. Lovelbug is a little bigger at 1.6kg with chip953010003410885. They are vaccinated, desexed and chipped. Their adoption fee together is $300. 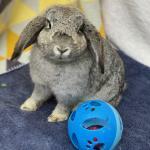 Dandelion is a very gentle young adult Lop X bunny.She is easy to handle. She came from the pound with an injured leg but this has now healed. She weighs about 1.5kg. 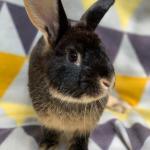 Forest and Woodsy are young Dwarf X bunnies who came from the pound together and want to stay together. They are sweet easy to handle rabbits. Forest weighs 1.65kg and Woodsy is 1.56kg. They are vaccinated, desexed and microchipped. Their adoption fee together is $300. They are located in a foster home on the northern beaches. Lovebug and Cuddles Netherland Dwarf rabbits who came in together and are bonded.They arrived on Valentine's Day. 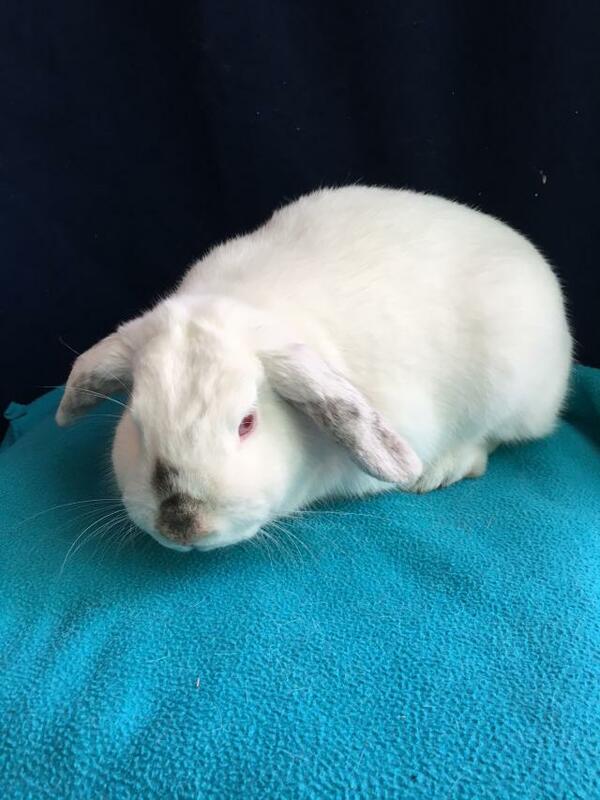 They are gentle affectionate rabbits that are easy for adults to handle and cuddle. 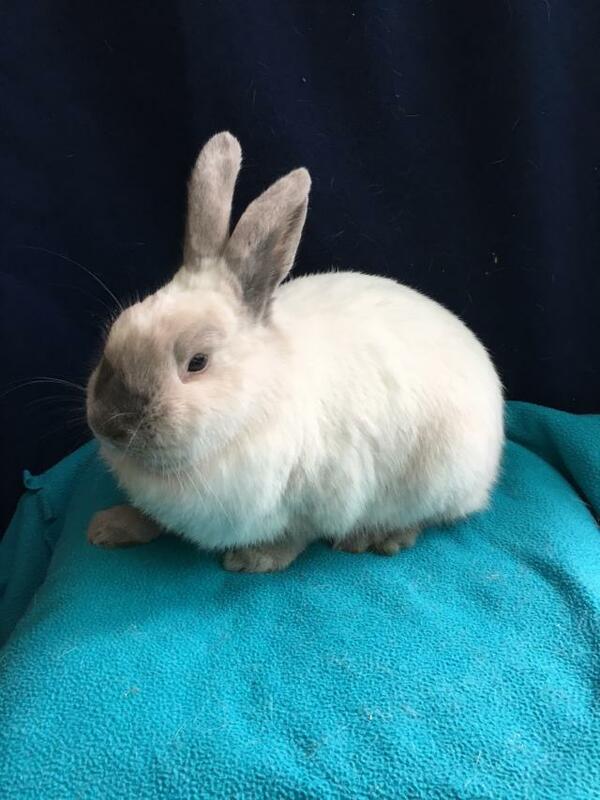 Cuddles is 1.2kg and his chip is: 953010003410930. Lovebug is a little bigger at 1.6kg with chip953010003410885. They are vaccinated, desexed and chipped. Their adoption fee together is $300. I'm a docile, gentle and well behaved girl. I am happy to be picked up and love a good pat, being around people is my favourite. 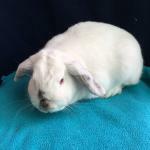 I am a mini lop with a lilac point short coat with ruby eyes and weigh around 1.5kg. I was born around late January 2017. She is vaccinated and desexed. She has only been handled by experienced adults as far as we know. 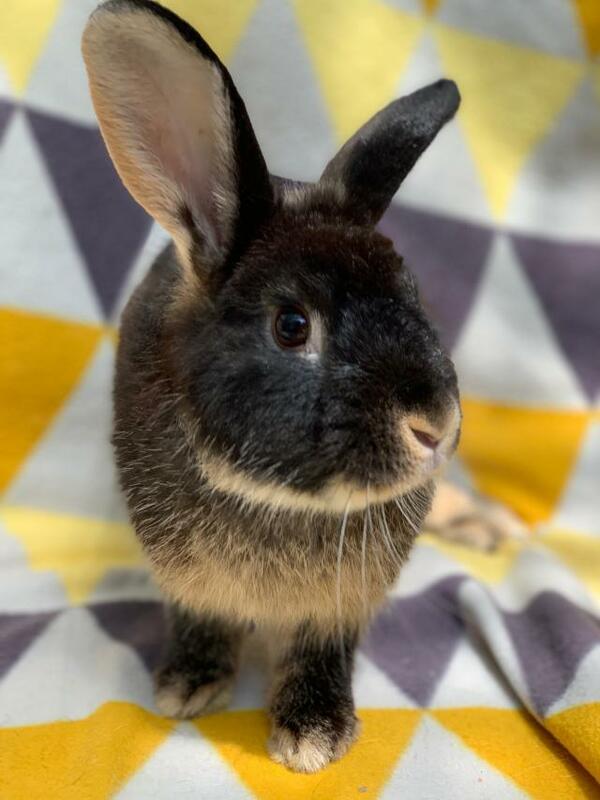 If you are interested in any of rabbits please fill in the rabbit application form on this page. Adoption fee is $40.